Guess Who’s Turning Six with a FREE Gift for YOU! Today’s post is going to introduce you to a upcoming card kit designed with “Birthdays” in mind … and a bonus FREE Stamp set included. What!?? 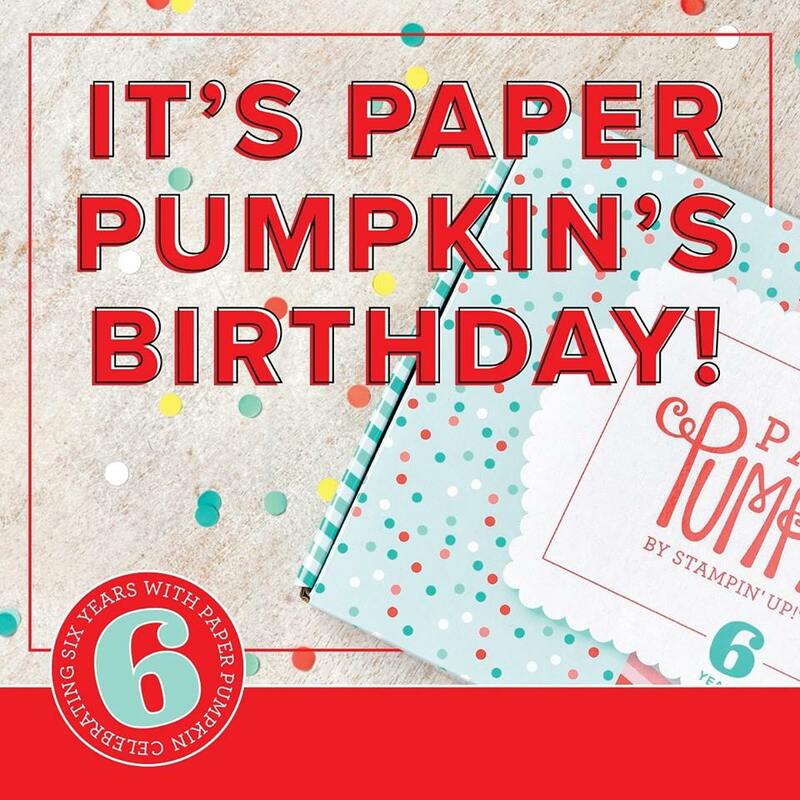 It’s our birthday, and Paper Pumpkin is celebrating with an adorable kit filled with eight festive birthday cards that are sure to “pop!” You’ll love the cool party packaging. And for extra birthday fun, we’re sending our subscribers TWO stamp sets instead of one. You’ll love the cool party packaging. And don’t forget, we’re sending our subscribers TWO stamp sets instead of one. Not a Paper Pumpkin subscriber? Take it out for a test drive and discover the fun of a monthly stamping kits that includes everything you need to create adorable projects. 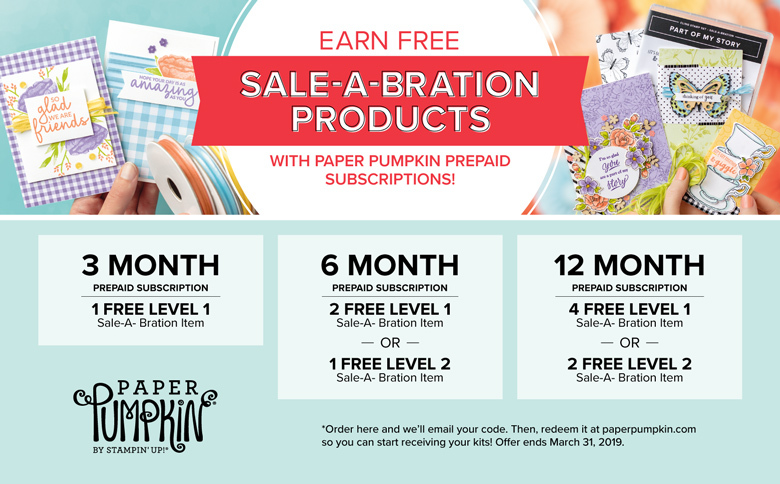 You can also purchase directly from me … Remember that the 3 month, 6 month, and yearly subscriptions qualify for Sale-a-bration FREE items!! Let me know if you have any questions or concerns, and thank you for stopping by my blog today. I will be back tomorrow with a “sweet” card! !